We have our fourth ticket from the White Feathers tour! This one is from the show at the Cornwall Coliseum, Saturday 28th May near the end of the tour. Many thanks to ‘Steve AKA theraggedtiger’ for sharing this one, we’re on the road to a full set! 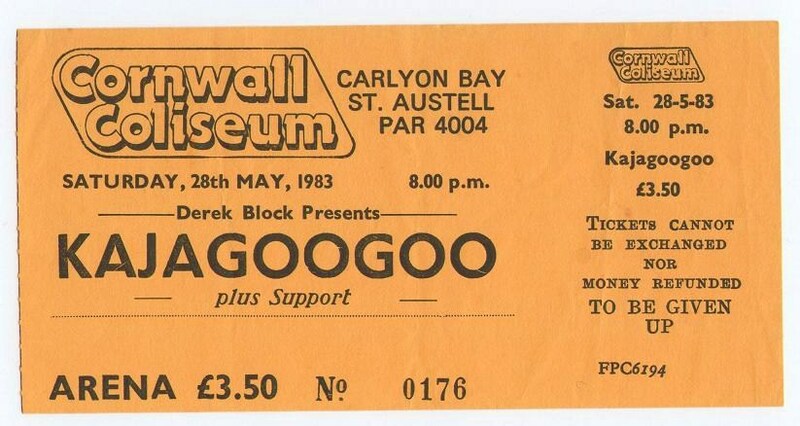 £3.50 for a show like that, bargain of the decade!! Do you have any photos or other memories from that night Olly?